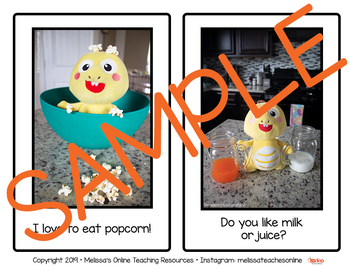 This resource includes a fun, printable storybook *AND FLASHCARDS* to use as a conversation starter, extension for a lesson or even a reward! The 11 page storybook can easily be printed, cut out and hung on a binder ring for convenient storage in your classroom. 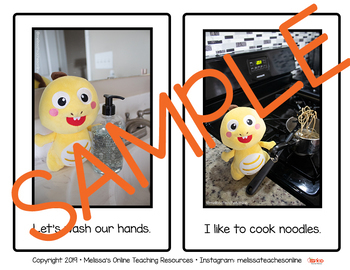 Cut out the flashcards and use as a fun reward throughout class, or as flashcards for extra practice! Dino is not my original character idea. 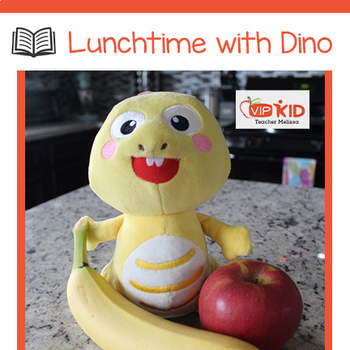 All references to "Dino" are through VIPkid. **All photographs and design work was done by myself! Check out Jostworth Photography on Instagram for my photography and graphic design work! Thanks for visiting my store! I hope you enjoy this resource!